Debbie McCowen, CEO, Armajun Aboriginal Health Service Inc. IT River go the extra mile by not only delivering a professional service, they develop their customers knowledge and, are good at on-the-spot problem solving. Russ and Kevin are able to communicate with all IT level users even the complete IT dunces! I have used the services of IT River for over 8 years and would rate them highly as a very professional organisation that deliver each and every time I engage their services. I would not hesitate to recommend IT River to any business that is looking for IT services. IT River have supported Bulgarr Ngaru since 2009 dealing with a number of servers, thin clients and remote access issues across 11 sites. We have had numerous challenging situations that IT River have handled with good humour, patience and professionalism. 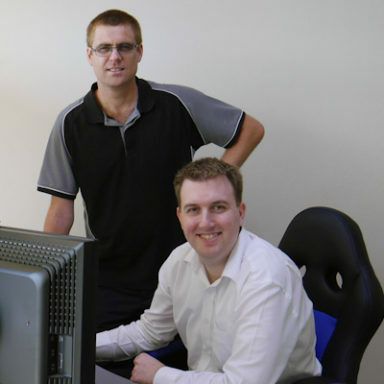 We have had Kevin, Russ and the team at ITRiver manage our IT network for the past 5 years. Not only are they efficient and up to date with current IT knowledge, they are a pleasure to have around. to 7 Jan. SLA clients exempt.